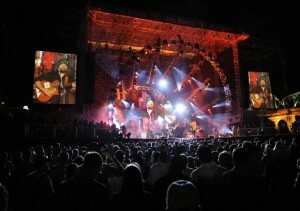 Zac Brown brought his eclectic line up of delectable foods, unique crafts, and legendary artists back to the Music City for the second annual Southern Ground Music & Food Festival. This year’s festival played host to more than 20 hours of music with performances by some of today’s biggest artists and legendary superstars set against the picturesque Nashville skyline on the weekend of Sept. 27-28, 2013. Fans experienced a diverse lineup of more than 25 artists on 3 stages, including special appearances by the Zac Brown Band, Kenny Chesney, Willie Nelson & Family, Grace Potter and the Nocturnals, the Eli Young Band, Edward Sharpe and the Magnetic Zeros, and many more. Both nights of the festival were headlined by none other than The Zac Brown Band who called on a number of special guests and sit-in performances by Kenny Rogers, John Fogerty, Jason Mraz, and the Stellas. So, needless to say, fans got what the paid for and much more. Gates opened at 2 PM on Friday for the 2-day installment and gave ticketholders access to some of the nation’s award-winning food vendors and chefs, as well as some of the best music and good times Tennessee has to offer, all along the beautiful Cumberland River. 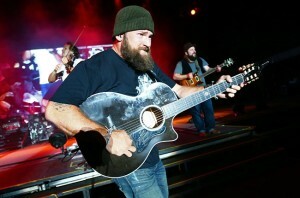 This year’s Southern Ground Festival in downtown Nashville was the biggest yet, and if you enjoyed yourself in Nashville, make sure to look out for Zac Brown’s signature brand of entertainment rolling into Charleston, SC on Oct, 19-20th.